In China, nearly every form of cancer is treated with some combination of Chinese traditional medicine and Western medical surgery, chemo, radiation and molecular therapies. The integration of Chinese and Western medicine (integrated medicine, for short) in cancer treatment affects how cancer prognosis is specified. From the perspective of both Chinese or Western medicine, it is a truism that a good cancer prognosis depends on an early diagnosis. Yet, most Chinese patients with cancer present to the clinic well beyond an “early” stage, in part due to the epidemiological prevalence of precisely those types of cancer that are difficult to detect early, combined with the dearth of screening programs. Far more relevant than the timing of diagnosis in the natural history of cancer is the staging of prognosis in cancer’s clinical history. This paper traces a set of encounters through which patients and clinicians stage cancer in relation to sites of treatment and intervention. Through an ethnographic reading of clinical discourses and medical texts, I show that predictions based on how cancer can be intervened upon fractalizes fundamental assumptions about what cancer is, was and becomes. 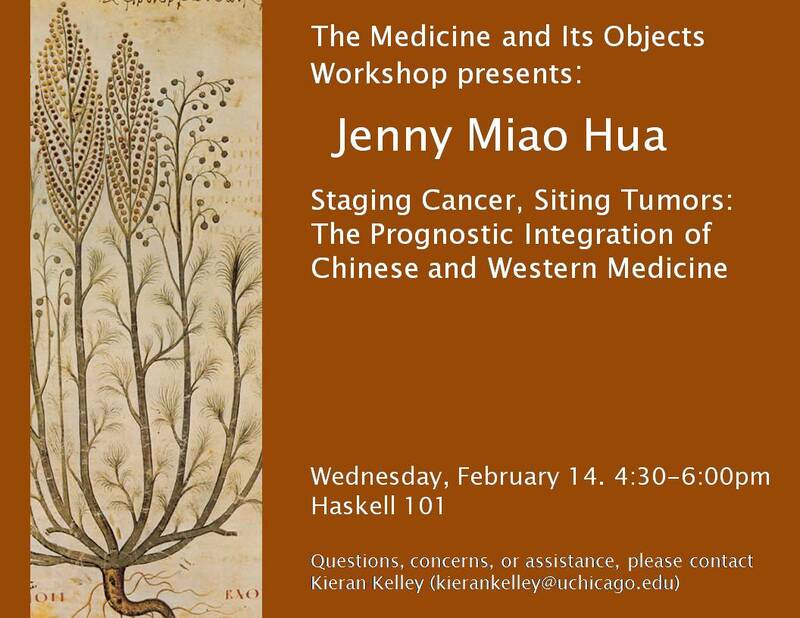 This is the second chapter of my dissertation examining the cultural and clinical practices of integrating Chinese and Western medicine that make cancer a condition that could be lived with in contemporary China.